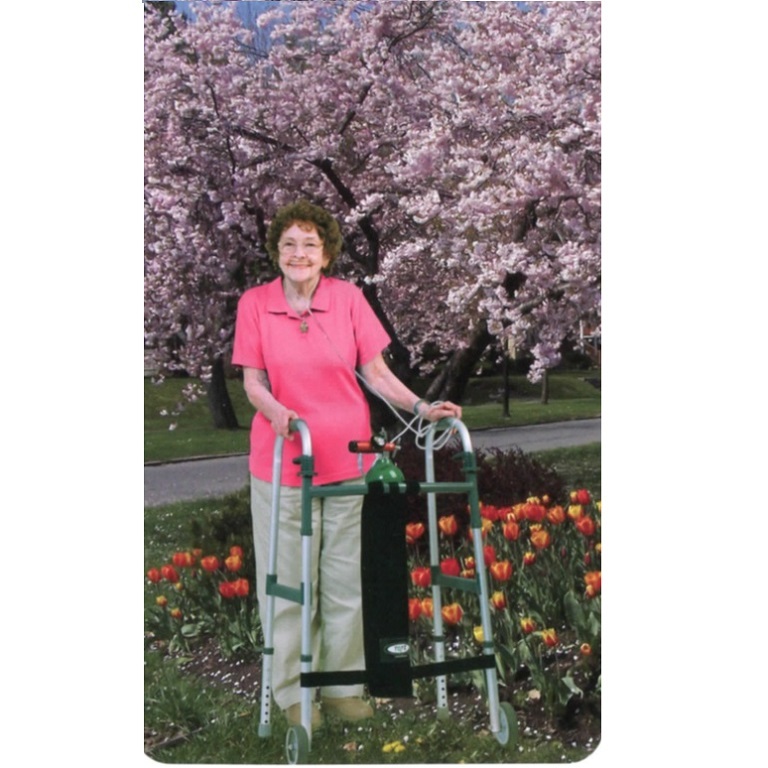 TO2TE E Size Oxygen Cylinder Holder for Walkers easily attaches an oxygen tank to a wheeled walker without tools. LIghtweight, nylon oxygen bag increases mobility for walker users. The TO2TE E Size Oxygen Cylinder Holder for Walkers is a lightweight, durable nylon bag for walker users to carry an E size oxygen tank. This walker tote bag allows walker users to maneuver an oxygen tank and a rolling walker at the same time. 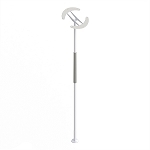 Rollator and walker users with oxygen tanks will find using this holder helps them regain their confidence and independence to move about as needed. 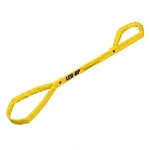 The TO2TE E Size Oxygen Cylinder Holder is a lightweight, machine washable nylon bag that includes a pocket for an oxygen wrench. 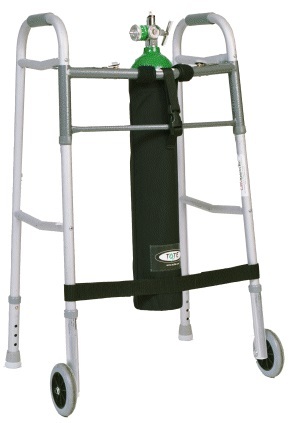 The oxygen tank carrier attaches to the front of a wheeled walker using sturdy Velcro straps. The TO2TE E Size Oxygen Cylinder Holder for Walkers helps walker users regain their independence to move about as needed. Holds: One "E" size oxygen tank cylinder, 29 inches high, 4.38 inch diameter..
Nice Product. Price is a little expensive. Will give 4 stars because of price. The canvas carrier is exactly as advertised. 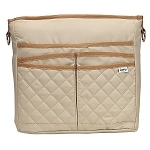 Very well made, heavy canvas and easily fits on my husband''s walker. The straps keep the E tank very secure. 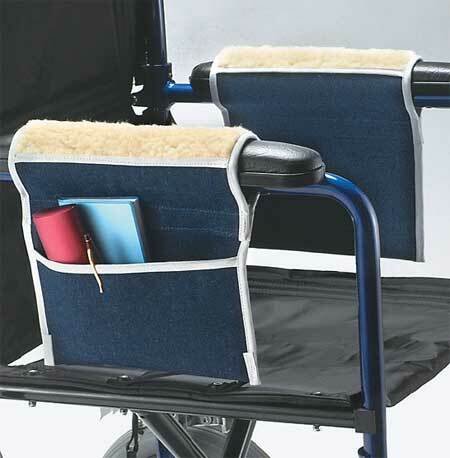 This allows my husband to go more places with plenty of support from the walker and easy access to the oxygen. I highly recommend it for anyone using an E size oxygen tank and needs the stability given by a walker. 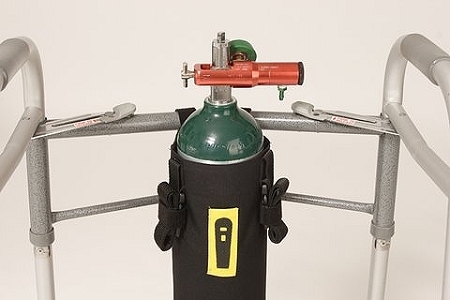 The Walker Oxygen Tank Holder is great. My husband has a walker with the seat and this fits on the front of the walker. Now he can go places where he couldn''t before. Used this on a Rolator style walker. Worked well and easy to install. I purchased this item for my mother's wheeled-walker. It came quickly and in good condition. The product was well constructed and the clasp securing it to the walker is tight. We have used it for a while and the tanks can be inserted and removed from the holder very easily. Because the walker she uses has a seat, we needed to place the tank holder on the front of the walker, and the added weight can make the walker a little easier to tip. 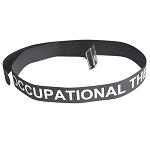 This has been a great product for her and has made it much easier for her to stay mobile. We would recommend it!